1st Class Electrical (Poole) Ltd have over 30 years experience in the electrical industry and are based in Broadstone near Poole & Bournemouth in Dorset and is registered with the NICEIC. We are a privately family owned Electrical Company who's emphasis is on providing a Service to our customers that is second to none. 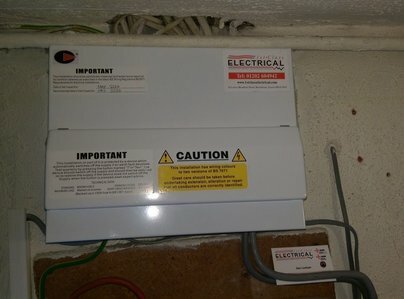 We carry out all aspects of Electrical work large or small in Poole, Bournemouth and the surrounding areas. 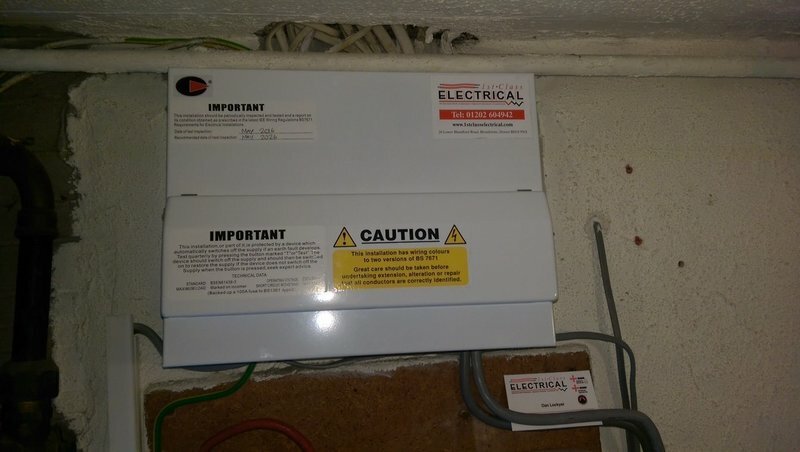 1st Class Electrical (Poole) Ltd only employ the very best electricians from the local area. 1st Class Electrical's many years of experience and customer care are the foundation for our success and continual growth. Full rewire and update of all Electrics. Fantastic job, always happy to alter anything and very tidy at the end of each day. A totally professional company in all respects. Fitted large consumer unit and 16 amp socket in garage in addition to identifying and fixing an illusive trip fault. Also returned to upgrade board. Workmanship faultless, communication excellent and pricing fair. A company that you could feel confident in giving you the right advice and offer total reassurance. I would definitely use again. We were carrying out a new loft conversion and 1st Class Electrical completed the first and second fits of wiring including the adaptation of existing sources of power that required re diverting. 1st Electric have completed various work over a 12 month period. Work includes: 1. Integrating separate supply electrical systems between large separate self-contained flats; 2. Fitting shower pump system; route and fit electric system to three electric power showers. 3. Working with national gas company completing electric work to three major new gas supply systems in three separate flats; 4. Fitted and worked on numerous updates in three converted flats in large Edwardian building; work includes - fitting and wiring new lighting and period chandeliers; fitting contemporary down-lighting systems in new bathrooms (3), shower rooms (3) and kitchen areas (2). 1st Electric have been the most professional skilful, reliable, customer-friendly of all electrical and other businesses I have dealt with over recent years of major upgrading of my properties. Other important differences with 1st Electric compared with other trade businesses are: 1. Intelligent and expert advice on best way to proceed with a variety of jobs. 2. Punctuality and adherence to timed appointments. 3. Director of company and staff all have same professional ethos and attitude and skill level. 3. All quotations and invoicing have always been very fair and cost effective. I would recommend 1st Electrical 100% for all electrical work, large or small. Their work quality, professional attitude, and level of excellence is unbeatable. Garden Lighting which looks amazing. Very professional, courteous and tidy workers who did an excellent job.